Setting an example for reducing the increasing skill gap in the cyber security domain, ABB, the Switzerland based Engineering major is training its in-house teams on Cyber Security. ABB Global Industries Ltd. is one of the leading organisations in the Engineering sector with focus on robotics, power and automation, also ranked 158 in the Forbes list. It also is one of the largest conglomerates with operations in about 100 countries around the world. Any vulnerability in the network would bring disastrous results. Bringing in foresight and keen acumen, ABB has trained its cyber security team on the latest version of the world renowned CEHv9. EC-Council’s CEH has been popular among the cyber security professionals since a decade as it not only hones up the skill set of the incumbent but also establishes minimum standards in assessing Cyber Security professionals in Ethical Hacking. 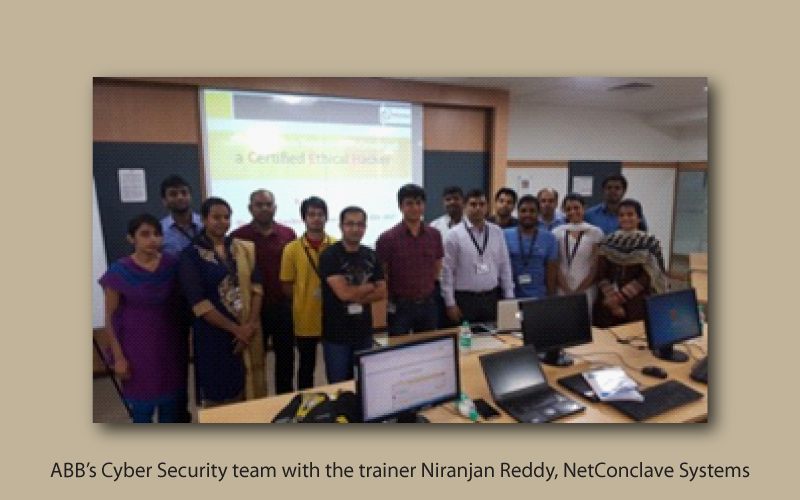 The training was held between July 25, 2016 and July 29, 2016 at the facility of NetConclave Systems, one of EC-Council’s partners in Pune. 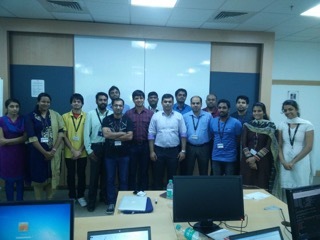 The training was delivered by Niranjan Reddy, CEO, Netconclave Systems to the Cyber Security team of ABB Global comprising fifteen incumbents. The course received an excellent from the trainees who gave a score of 8 on 10. The incumbents felt that the CEHv9 course is quite relevant to today’s needs and requirements, while at the same time providing requisite knowledge for enhancing on-the-job skillset. We provide premiere Information Security Consultancy & Training Services across the globe. We help organizations manage their risks and secure their infrastructure by analyzing, designing and implementing the best cost-effective security process. We are an Award winning EC-Council Accredited Training Center of EC-Council USA.